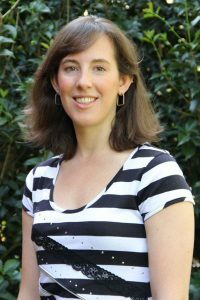 Anna Martin is the program coordinator for both North Carolina Sea Grant and the state’s Water Resources Research Institute (WRRI), where she provides technical and administrative support for events and day-to-day operations. Her duties include assisting with Sea Grant and WRRI advisory board activity; the annual call for proposal process; and website/listserv maintenance. Anna also is the key administrator for the North Carolina Water Resources Association, a partner organization. Anna earned a bachelor’s degree in natural resources, with a concentration in marine and coastal science, from NC State University’s College of Physical and Mathematical Sciences. After graduation, she worked with the N.C. Department of Environmental Quality (formerly the N.C. Department of Environment and Natural Resources) Land Quality Division. Before joining WRRI in 2007, she was a science educator at the N.C. Museum of Natural Sciences. She currently is seeking state certification in environmental education. Outside of work, Anna volunteers with programs that help alleviate food insecurity in the Wake County community. She also enjoys attending concerts, traveling, reading and spending time outdoors.